Mia is a five foot nothing sophomore at Seattle Prep and a new member of the Panther staff. Her passion is dancing, and and she dances every day after school. 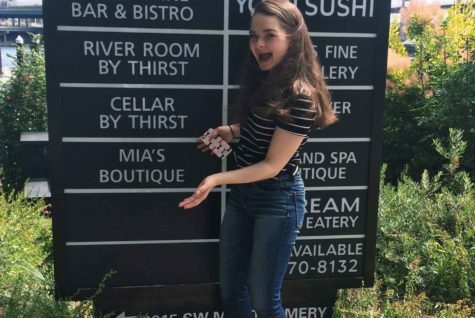 When she isn't at the studio, Mia likes to listen to music, watch Netflix (her favorite show is How I Met Your Mother) go shopping, practice driving, and hang out with friends. She also loves to travel, and her favorite food is Gelato. Mia is very excited to write for the Panther, and is looking forward to having a great sophomore year!